Katherine of Aragon, Henry VIII's first bride, has become an icon: the betrayed wife, the revered Queen, the devoted mother, a woman callously cast aside by a selfish husband besotted by his strumpet of a mistress. Her sister, Juana of Castile, wife of Philip of Burgundy and mother of the Holy Roman Emperor Charles V, the most powerful man in Renaissance Europe, is still more of a legend. She is 'Juana the Mad', the wife so passionately in love with her husband that she could not bear to be parted from him even by death, keeping his coffin by her side for year upon year. They were Sister Queens - the accomplished daughters of Ferdinand and Isabella, the founders of a unified Spain. 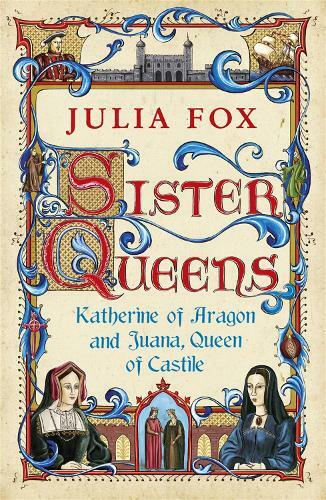 A gripping tale of love, sacrifice, the demands of duty and the conflict between ambition and loyalty - at a time when even royal women had to fight for their positions in society - Julia Fox's vibrant new biography teems with life. Linked not only by blood but by cruel experience, their dual stories enrich our understanding of them both, casting a searchlight onto the turbulent age in which they lived. Am reading it now and find it absolutley wonderful to read.